Russian Railways wants to enter foreign markets, with plans to tender for railway construction projects in the Middle East and Latin America. At the same time it has capital raising problems at home. The head of Russian Railways, Vladimir Yakunin, met his colleagues from CIS and Baltic countries this week in Moscow, pointing out a high level of integration between their railway companies. As ties with Russia's closest neighbours seem to be strong, Russian Railways is aiming at other markets. “We are participating in a tender in Saudi Arabia with our Italian colleagues. We are also targeting Argentina, Venezuela and Pakistan. Russian Railways is eager to enter these markets, even through tenders,” Mr Yakunin announced. While Russian Railways is expanding abroad, it faces a lack of investment at home. As part of its investment programme, Russian Railway plans to set up an independent operator of cargo transport and float its shares on the market. The company had expected to raise about $US 6 BLN with an initial public offering next year. But its hands are tied by the lack of a government decision on the issue. “The government promised they would take the decision by the end of the first quarter this year. This is holding us back. We have to move the date of the IPO and obviously we don't know when we'll get the money. 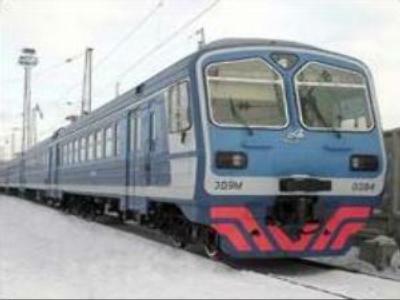 That's why we can't place orders for the rolling-stock we need,” Mr Yakunin complained. Vladimir Yakunin says if the decision is further postponed, the formation of the cargo transport company will not solve Russian Railways' investment problems.